Angry White People by Hsiao-Hung Pai; A Girl in Exile by Ismail Kadare; The Egyptians: A Radical Story by Jack Shenker; How Did We Get Into This Mess? by George Monbiot. The subtitle of Hsiao-Hung Pai’s book is ‘Coming face-to-face with the British far right’ and, showing courage bordering on folly, this is precisely what she does. She takes as her starting point the rise of the English Defence League (EDL) from a small football-hooligan grouplet in Luton to an organization that could call on support for its islamophobic demonstrations from the myriad far-right and neo-Nazi organizations. Her method is simple: to approach the leaders and activists of the movement – in pubs, in their homes, and on demonstrations – and ask direct questions about their beliefs and actions. Through persistence she gains access to the likes of Tommy Robinson, EDL founder and one-time public face of the group; Viking, whose ideology is underpinned by a mish-mash of religion and sword-fighting; and Darren, an early member whose growth away from the movement forms the spine of the book. Time and again, in her discussions with these angry and violent individuals, the issues of class and insecurity arise.Overwhelmingly working-class, under­educated and in marginal jobs at best, they are fed a daily diet of islamophobia by the rightwing media. Rather than blame the political system or the greedy bankers for their plight, they look for scapegoats in their immediate vicinity and find a ready target in their Muslim neighbours. 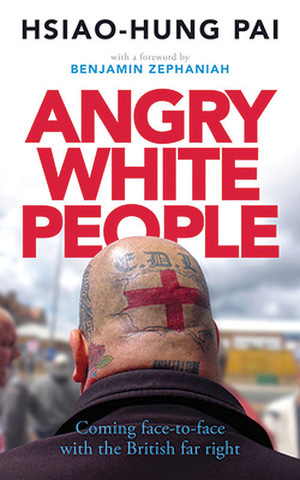 Angry White People is a lucid account of a deluded movement and, if her book overly favours anecdote over analysis, Hsiao-Hung Pai nevertheless deserves high praise in going to some very dark places and bringing out invaluable information to aid the fight against racism and fascism. The Albanian poet and novelist Ismail Kadare once famously declared that ‘the writer is the natural enemy of dictatorship.’ His latest novel, A Girl in Exile, explores that antagonism by way of a strange tale of obsession and friendship, set in the latter years of communist rule in Albania. The hero, Linda, is interned in a provincial backwater for political reasons: she is of bourgeois stock, and has been deemed a ‘class enemy’ by association. Prohibited from entering the capital city, she becomes infatuated with Rudian, a successful playwright in Tirana whom she has never met but who embodies the cosmopolitan life she desperately craves. Unable to reach him directly, she lives vicariously through her best friend, Migena, who embarks on an affair with the playwright. The novel follows the unwitting Rudian as he incredulously unravels the truth of this most bizarre ménage whilst simultaneously fending off harassment from the authorities, who have earmarked him as a corrupting influence. Fraught and confused, Kadare’s beleaguered alter-ego teeters on the brink of madness. 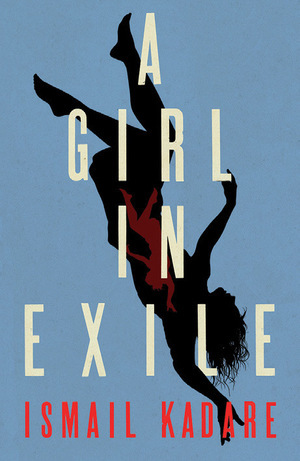 Blending Kafkaesque paranoia and sombre humanism, A Girl in Exile is a withering indictment of the absurdity of totalitarianism and the plodding cowardice of its apparatchiks, and a poignant tribute to lives senselessly wrecked by the psychopathic officiousness of dogma. Above all, though, it is an affirmation of the dissident power of the written word, which can be repressed but never effaced. 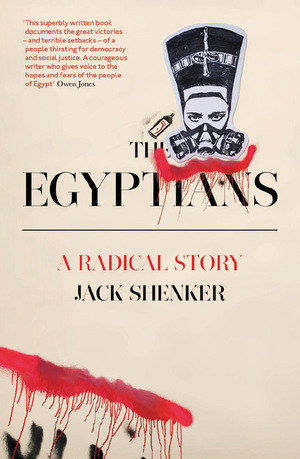 Former Guardian journalist Shenker has written a brilliant account of the Egyptian revolution, setting it in its proper historical context and recasting it as an ongoing flame of resistance that refuses to be extinguished. Flickering between vivid personal testimony and more theoretical analysis, The Egyptians documents decades of fight-back against supercharged neoliberalism: rolling waves of labour strikes, widespread acts of community resistance, the creation of informal settlements, even whole towns declaring independence. Egypt now exists in a state of tension between old-style dictatorship and an emergent new world of self-organization propelled by a determination that rights and justice will prevail. If you were inspired by the Egyptian revolution and want to go deeper, this is the book to read. 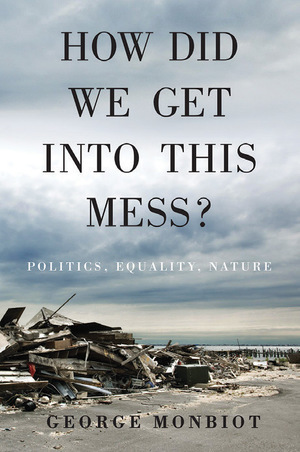 In this compelling collection of journalism George Monbiot argues that the fundamental principles of neoliberal thinking and corporate power have now so successfully infiltrated Western society that their anonymity has become a silent killer of democracy. Ideas – not banks, or even armies – Monbiot argues, run the world. So he asks citizens to rise from their somnambulist fantasies and take back their democratic freedoms before it’s too late. The book covers a wide range of topics – many from the author’s regular columns for The Guardian newspaper. He tackles mental health in a society that is fuelled by consumption; the connection between spiritual wellbeing and closeness to nature; the reasons why big business is killing small farming, and the totalitarian grip of the Transatlantic Trade and Investment Partnership (TTIP) and other such arrangements. Monbiot isn’t shy about naming the enemies: corporate power, cynical lobbyists, and a system that widens inequality while viewing poverty as an innate social disease. Sometimes he has a tendency to wander into despair bordering on nihilism: the insistence, for example, that we are entering a perpetual age of loneliness and anxiety. But his ability to merge his great arsenal of ideas with a writing style that is humane and bursting with empathy makes this a fine collection of high-minded polemics.